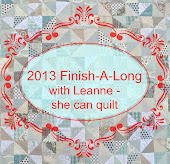 she can quilt: Q1 2013 FAL - Thank you to our Sponsors! Today I am going to tell you about the wonderful sponsors who have volunteered to supply prizes for the first quarter of the 2013 Finish-A-Long. As this is an international group, I set out to find sponsors from around the globe, and I hope to continue that for the other quarters. I have shopped at almost all of these stores myself and will be placing orders at the ones that are new to me. These shops are excellent in every way and are run by the nicest people. I hope you will support them while you participate in the FAL or even just send them a quick email to thank them for sponsoring Q1 of the FAL. I personally thank each and every one of our sponsors for their generous support. Let me tell you a bit about each of them. 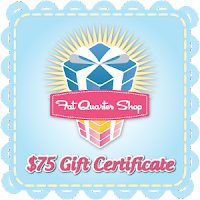 I am guessing you all know about the Fat Quarter Shop, but if you don't you need to. The selection is huge - they sell pretty much everything you can imagine needing for quilting, including patterns, threads, rulers, notions and the like. This American shop is quick to stock a large range of the newest fabrics and their service is impecable. It is always a pleasure to shop at the Fat Quarter Shop. Green Fairy Quilts is a wonderful little treasure. It stocks a carefully chosen selection of pre-cuts, and also provides the opportunity to pre-order the upcoming fabric lines, all at excellent prices with frequent sales. This American family business is friendly, helpful and quick to get your order into your hands. The Avery Homestore is both an online and a bricks and mortar store in Edinburgh, Scotland, and I so wish I could visit it in person. 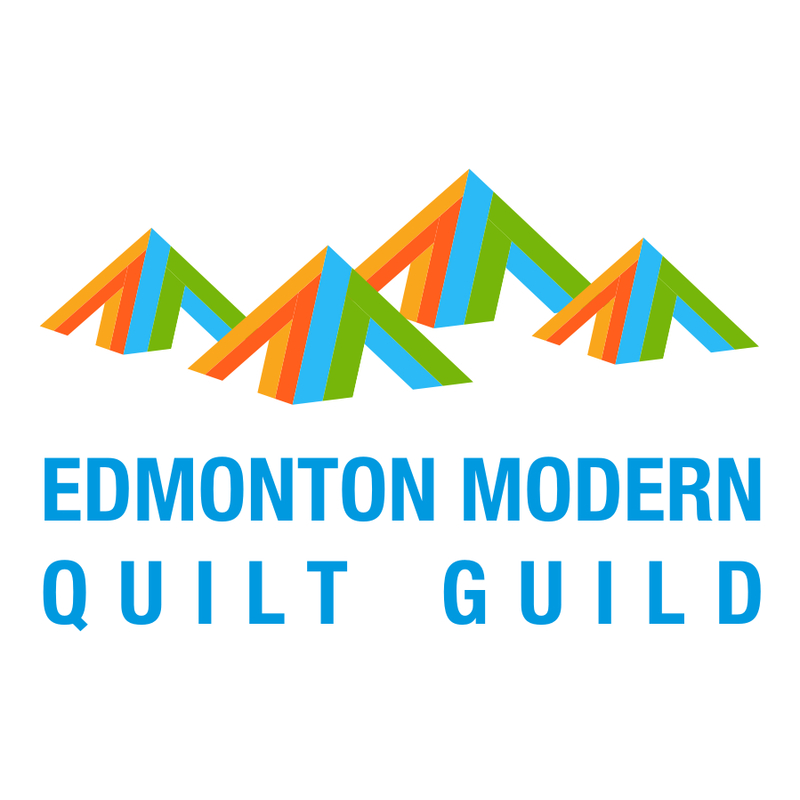 There is a beautiful selection of fabric, yarn, craft supplies of all kinds, homewares, prints, and other beautiful things. You can purchase many of those online too, where you will receive lovely service, even if you live far away. Jo also runs a nice selection of classes at the store too. 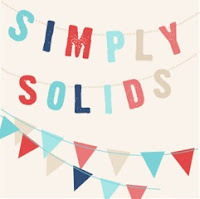 Simply Solids is an excellent UK source for solids in cotton, linen, cross weaves, etc. Justine has been thoughtfully adding to the collection lately too. I met Justine in London and she is so nice, has the cutest baby and my sources tell me she provides excellent service. I am going to sign up for the Sew Solids Crew Stash Club, which is a lovely way to expand your solids collection, one colour a month. Fabric Spot is a wonderful Canadian online store with excellent service. Karen has set out to make organic fabrics widely available at reasonable prices. She also has a huge range of popular quilting solids, including almost all of the Kona colours. 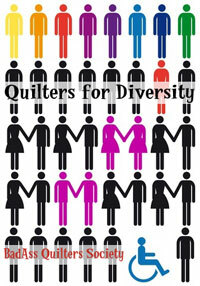 Fabric Spot has an expanding selection of designer quilting fabrics, patterns and books. While Baby Naps is an Etsy store that is new to me. They sell really lovely classic frames, chains and glue to make frame purses and clutches, as well as complete kits, including tutorials and patterns, to make a clutch. There is even a kit packaged for international shipping leaving out the glue that is difficult to sell over the borders. Rhonda orders her purse frames from While Baby Naps and speaks highly of the service and the products, so I am going to be placing my own order this week. I met Cindy in London at the Fat Quarterly Retreat. She is fun, interesting, generous and smart and I consider her a friend. 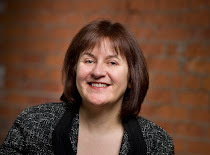 Her Irish online shop focuses on providing a well curated selection of modern quilting fabrics and threads. Her newsletter includes guest tutorials - she even included one of mine last fall. Cindy's personalized service makes shopping with her a dream. Jennifer has a lovely shop and blog but recently she is probably better known for her call to the internet quilters for help making blocks to make a couple of quilts for family who had been hit hard by Hurricane Sandy. Jennifer was going to be seeing them at Christmas and wanted to bring the quilts. The response to Jennifer's request was overwhelming. 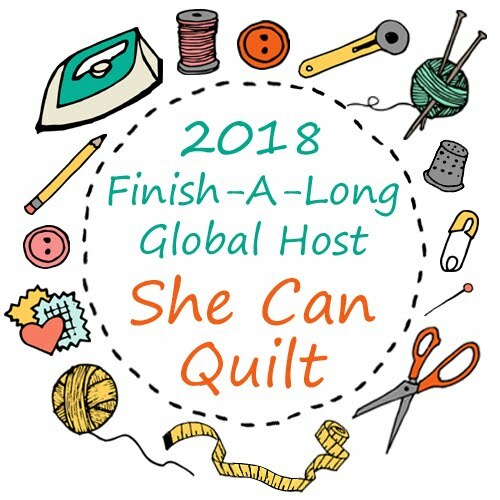 The quilts, and several more, were made - people across the globe sent blocks, Jennifer and other people quilted, and Jennifer took those quilts and delivered them as promised, and she told us all about it on her blog. She is a gem and her little shop is excellent too. I am not sure what to tell you about Rhonda. She is funny, friendly, kind and helpful. Rhonda often digresses onto some other thing, but she usually has a good reason to do so. The Finish-A-Long is her brianchild and it worked brilliantly for all of us last year. I am just hoping I can live up to her legacy in hosting this year and thank you to Rhonda for all the help she continues to give me this year. She is just the best. Oh, and she has a great podcast, feel free to remind her that we want more episodes. The prizes from each of these sponsors will be awarded at the end of Q1 of the 2013 FAL. Each qualifying finish will qualify as one entry in the random draws. There is still plenty of time to sign up for Q1 of the FAL. Go to this post and enter your link before midnight, MST, Sunday January 13, 2013, if you have not yet done so. You can also join the FAL flickr group which is here. I hope you will join us and get some of those UFOs out of the sewing room and into use. p.s. I will be making it to each and every linked post, but give me a few more days to catch up. First week back to school and to work, broken internet requiring several hours on the phone, one repair guy and another coming, and the usual hustle and bustle of life have been taking more than their fair share of my time. I am hoping some semblance of routine will resume shortly. I am excited to see all the projects that have been linked up. That is an impressive list of sponsors! I still may get myself sorted with a FAL list! You have done so well in the sponsorship department. So far I have shopped with four of your sponsor and they were all brilliant. You’ve done an amazing job on the sponsorship Leanne! I love the UK based shops because I don’t have to pay the extra custom services and taxes when the fabrics are being delivered. Such a great list of sponsors - thank you! Wow, fab round up of sponsors there, thank you! A virtual shopping trip will be a great reward for getting some finishes done. Thanks for all the links! Fabulous bunch of sponsors - is it a good thing that I have bought off of most of them?!? wow. You did great, Leanne! Thanks much to all these awesome sponsors! !